Perfect for nursing mamas with a newborn or a toddler! Some of my most favorite memories with my babies feature us curled up somewhere comfy while nursing. Although it took a while for me to get the hang of breastfeeding, it was such a sweet time with each of my girls. I am so thankful that my body was able to not only grow each of my daughters and birth them… but also provide the nourishment they needed for those first months of life. If there is one constant in the craziness of motherhood, it’s that our children are always one day closer to being grown up… and that means, one day, they won’t nurse anymore. It’s easy in the hard, sleep-deprived moments to think you won’t miss these days with a baby nuzzled on your chest, but trust me when I say you will. I still get a bit wistful any time I see a nursing mama because I remember being there like it was yesterday. That’s why I decided to help other mamas make memories of this incredibly amazing, special bond. You never know just how long you’ll nurse your child – whether it’s six weeks, six months or into baby’s first year of life, you deserve to celebrate that relationship. A breastfeeding mini session is the perfect way to do that! Breastfeeding mini sessions are a relaxed, joyful opportunity to photograph you and baby snuggled together while nursing. We’ll time the session for when baby will be eager to breastfeed. Whether you prefer to sit, stand or lie down, we’ll capture these priceless memories in quiet, calm places: the master bedroom, baby’s nursery, your living room, or any other cozy place in your home. If you prefer, we can also schedule your breastfeeding mini session in a beautiful park, botanic garden or other place. Meredith is a mama of three boys, the youngest of whom was five months old during this beautiful breastfeeding session. You can see her home worked just perfectly for this peaceful, tender breastfeeding session with her five-month-old son, Benjamin. For mamas who are concerned about modesty during our time together: don’t be! If you’ve got a newborn and you’re still getting the hang of nursing, you might be worried about feeling exposed during a breastfeeding session. There are so many tasteful, beautiful ways to ensure your comfort – and baby’s too. We can drape a neutral swaddle blanket over your shoulder so that baby is still visible, but you feel covered. I can also help with the position of baby’s head to ensure coverage of your breast. We can even vary the distance between you and my camera if you’re sensitive about showing your breast in photos. 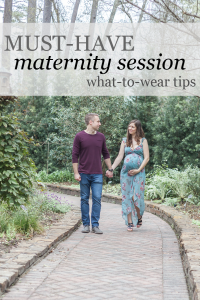 These sessions are perfect for any nursing mama. Whether you didn’t get around to newborn photos or you’re just longing for more beautiful images of you and baby before he/she is all grown up, you can’t go wrong with a breastfeeding mini session! I’d suggest mama and nursing baby + maybe an older sibling if they’re toddler – pre-k aged. These sessions are intended to be soft and beautiful. My suggestion is to wear a floor-length nursing-friendly dress or a long skirt. Maxis are great for this! I personally think solid colors or small, feminine prints photograph better than busy patterns or lots of color. Also, solid colors or small prints keep the focus on you and baby, instead of what you’re wearing. I’ve got a gorgeous collection of studio gowns that photograph beautifully and are nursing-friendly! You can add in sweet accessories like flower crowns for yourself or use my tie-backs and newborn hats for your baby. Adding in older siblings for a few shots is also a fabulous way to add variety to your photos. The breastfeeding minis aren’t like a newborn or family session. During our time together, we’ll focus on the amazing bond you and baby have while nursing. We’ll spend a few moments capturing snuggles and a few baby-focused images. What’s not included: crib shots, moments with baby and daddy, baby interaction with siblings. I’ve created a Welcome guide specifically for these breastfeeding minis that includes more information. Email me to get your Welcome guide – they’re totally free and there is no obligation to book! View Meredith’s breastfeeding session here. I specialize in magical maternity, Fresh 48, breastfeeding and at-home newborn sessions in Houston, Texas. A luxury photography experience is the perfect way to celebrate that perfect baby bump and your adorable newborn or nursing baby. If you’re ready to chat about a gorgeous photo session celebrating you and your little one, click the button below to get started! I’ll send you a beautiful Welcome guide with all the details! Aww these are sweet, and I bet you never have issues with unhappy babies lol a nursing baby is a happy baby! LOVE THIS 🙌🏻🙌🏻🙌🏻 I have to do this with my next little one! They really are such sweet, tender sessions. I wish I would have done it with my own littles! I love how much information you share! I’ve always wondered about breastfeeding sessions so this was really helpful! If you’re thinking about having one done, I hope this helps! What a fabulous idea! I had never even thought to photograph nursing my boys and yet reading your post brought back all the sweet memories of that special time! Such a great informative post. I didn’t have this done with my girls either! I wish I would have. These are always must-have shots during newborn sessions, too! These are so beautiful! I would love to try a session like this!! They are so beautiful, laid back and fun. Mamas and babies really enjoy them!